Love Larson is a Swedish Make-up artist and hair stylist. He is best known for his works in Skyfall (2012), The 100-Year-Old Man Who Climbed Out the Window and Disappeared (2013), and A Man Called Ove (2015). He received his first Oscar nomination Academy Award for Best Makeup and Hairstyling at the 88th Academy Awards along with Eva von Bahr . Love & Eva will talk about there Career, the recent Oscar Nomination and take questions from the audience. Lizzie was nominated for an Oscar in 2015 for her Make-up & Hair Design on Guardians of the Galaxy. Fully accomplished in Make-up, Prosthetics and Hair Design and application, Lizze has worked on movies, Thor: The Dark World, The Bourne Legacy, Dark Shadows, The Social Network, Notting Hill and many many more. A talented artist Lizzie states "My principles as a Make-up and Hair Designer are to produce historically correct and natural styling true to the characters and the period in which they live and breathe. I want the audience to feel as if they are part of the story and I do this by producing work that is strong, consistent and above all realistic." Lizzie also speaks fluent Greek and Italian. Lizzie will talk about her Career, and take questions from the audience. Having launched his eponymous range in 2003, British make-up artist, talent and media darling, Daniel Sandler, and his multi-award winning and cult makeup line, now celebrate over a decade in the industry. Daniel spent over four years developing his multi award-winning, highly innovative and globally acclaimed brand, drawing from his experience as a professional makeup artist, creating a completely fool-proof range of creams, liquids, glosses, serums, stains and tools. His mission statement is to “be your most beautiful” and his range provides a woman with her ‘wardrobe of colour’ with a multi-purpose, hybrid product offering, that ultimately simplifies makeup for all skin tones, with the addition of skincare benefits. He created the perfect ‘all-in-one’ mascara, the ultimate waterproof eyeliner crayon and his multi-tasking Watercolour range has a global cult following and is available in the prettiest hues that suit absolutely everyone. Moreover his Watercolours continue to be a beauty editor’s classic and loved by professionals including Mary Greenwell, Lisa Eldridge, Pixiwoo and in 2015 his Watercolour crème rouge was awarded the ‘Best Blusher’ at the prestigious Conde Nast Brides Beauty Awards. Over the years, Daniel has worked Internationally on a number of shoots with high profile fashion photographers for top glossies, and with designers backstage at a number of major fashion shows as well as being a regular on national TV. Throughout his career he has beautified celebrities including: Naomi Campbell, Rachel Weisz, Kristen Scott Thomas and Kate Moss and continues to work with high profile clients and celebrities getting them ready for red carpet events, TV appearances, etc. Joey Bevan, is an established name in the fashion & beauty industry, working alongside celebrities and clients on the international music and fashion scene. With a team of models, MUAs and Hair Stylists, Joey will be demonstrating how the different elements of the team need to work together, how best to communicate ideas and collaborate to achieve the final image. As a brilliant fashion stylist and designer himself, he has worked on hundreds of shoots and is full of tips on how to create a positive and productive work environment. With the success of his first introductory fashion show in the summer of 2010, where Joey was head-hunted for Britain's Next Top Model Live 2010 & The Ideal Home Show 2011, where he had the honour to meet HRH Prince Charles. His designs & styling have featured on British Xfactor, BINTM, ANTM, Vogue IT, INSTYLE, MTA and many more editorials, TV and music videos. Working Along side HRH Prince Charles, D&G, DIOR, The Saturdays, Stooshe, Jessie J, Diana Vickers, Eliza Doolittle, Aggro Santos, Lydia Rose Bright, Janice Dickenson, Kate Magowen, Melanie Sykes, Kimberly Walsh and many more. Gustav Hoegen grew up in the Netherlands and then moved to England when he was 19 where there was a thriving film industry so that he could be part of it. He studied at the Bournemouth Art Institute in the Design Modelmaking course. After two years in college, he was offered an apprenticeship at Artem. Hoegen started his career as a model maker at a company called Artem. 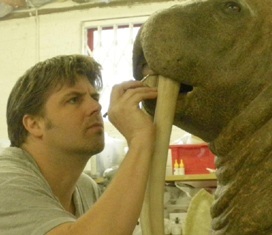 Today he is an animatronic designer and modeler for Pinewood Studios located near London, England. 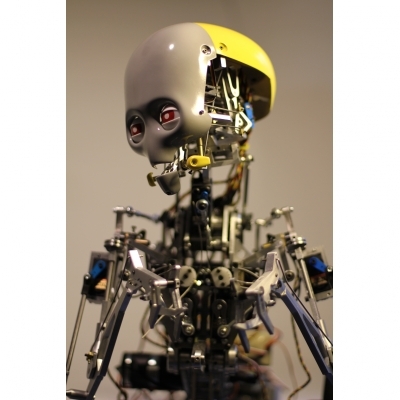 Chris Clarke is an internationally renowned Animatronics Designer who has been a master of this incredibly complex, technical craft for two decades. His innumerable credits include ‘Munich’, ‘The Golden Compass’, ‘War Horse’, ‘Wrath Of The Titans’, ‘Harry Potter’ and more recently, ‘Star Wars Episode VII’. We’re delighted he will be appearing on the lecture theatre stage to give an insight into this highly specialized area of prosthetics. Chris is a 27 year veteran of movie and television, and is planted firmly in the old school ‘self taught from childhood’ category, making his first animatronic aged 6, and proceeding to spend his childhood in the garage building creatures, models and optical printers. Considered by many of his peers to be a leading light in the Animatronic world he has worked on some 40 plus movies as well as a multitude of TV, advert and promo work through the years, supervising, department heading and on-the-bench building on many movies. Always willing to share his methods with anyone who asks his advice, he hopes to be able to add his insight to this specialist branch of makeup effects/creature work. Having acquired her professional qualifications on a BBC training course, she gained wide experience in TV, then moved on to fashion shoots with many of London’s top photographers, before working on many of the iconic cinema and television commercials in the golden age of British advertising. Tina will talk about her Career, the launch of her brush line and take questions from the audience. 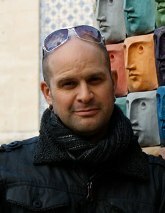 Stuart Bray is a freelance special effects makeup artist working in the film and television industry since 1994. He specialises in all the processes involved in making prosthetic appliances and make-up effects from design, sculpting, moulding, casting and application. Blood Rigs. This presentation is to take you through the process of making and preparing a prosthetic which has to actively bleed out on cue. As with much of the work involved in creating convincing effects, a lot of the effort goes into the unseen things hidden beneath the surface. 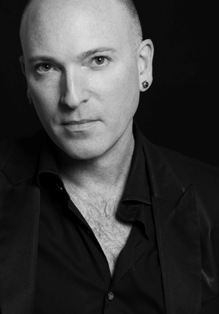 Richard Redlefsen decided when he was 29, to pursue a career in professional makeup. Having already had makeup experience while dancing, Redlefsen attended the Elegance Makeup School in Los Angeles, California, from which he graduated in 1997. After doing makeup work for revenues such as San Jose Opera and San Jose Repertory Theater, Redlefsen moved to Budapest, Hungary, in 1998, where he spent two years working as a makeup artist of makeup effects artist on various Hungarian films, commercials and music videos. 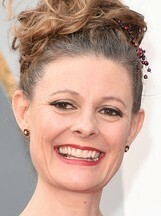 A few months after returning to the United States in 2000, Redlefsen returned to Los Angeles and began working in Hollywood. Since then, his talents have been utilized on such films as Jeepers Creepers, Jeepers Creepers II,Underworld, Saw, Pirates of the Caribbean: Dead Man's Chest, Pirates of the Caribbean: At World's End, and Resident Evil: Extinction. 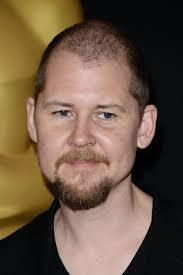 He has also worked on such television shows as NCIS, CSI: Crime Scene Investigation, and Everybody Hates Chris. In addition to Star Trek, Redlefsen recently worked as a special effects makeup artist on two other major motion pictures for Paramount Pictures, Indiana Jones and the Kingdom of the Crystal Skull (featuring Alan Dale and Pavel Lychnikoff) and G.I. Joe (starring Rachel Nichols). His other recent film credits include The Incredible Hulk (2008) and Underworld: The Rise of the Lycans (2009). Other credits are doing Jessica Alba`s beating makeups in The Killer Inside Me (2010),Grown Up (2010), Secretariat (2010), Resident Evil: Afterlife (2010), A Very Harold and Kumar Christmas (2011), Here Comes the Boom (2012), Oz:The Great and Powerful (2013) and Grown Ups 2 (2013). He worked on Russia`s largest budgeted film Stalingrad (2013) and Paraiso (2013) in Mexico City. Over the years, Redlefsen has worked personally with such Star Trek guest stars as Lee Arenberg (on Pirates), James Avery (for the 2005 thriller Lethal Eviction), Diedrich Bader (on the 2004 horror movie Dead & Breakfast), Jonathan Banks (on the 2001 thriller Proximity), Tracy Middendorf (for the 2006 film El Cortez), Ron Perlman (for the 2002 action film Shakedown), Tony Todd (on the Dave Matthews Band music video for "Gravedigger"), Gabrielle Union (on the 2002 heist film Welcome to Collinwood), and Ray Wise (on Jeepers Creepers II).